Orly Avineri’s The Journaling Game! 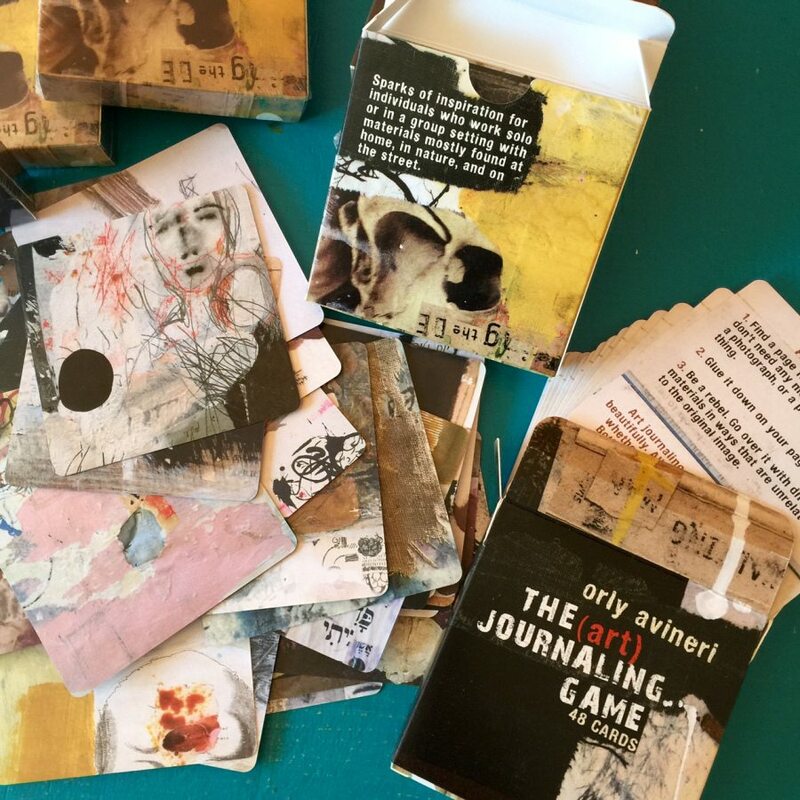 Orly Avineri‘s The Journaling Game! I am pleased to help my dear friend Orly Avineri introduce The Journaling Game. A set of 48 cards, 3.5 inches X 3.5. inches in size. The game would be excellent for art get togethers or for artists working alone looking for prompts. 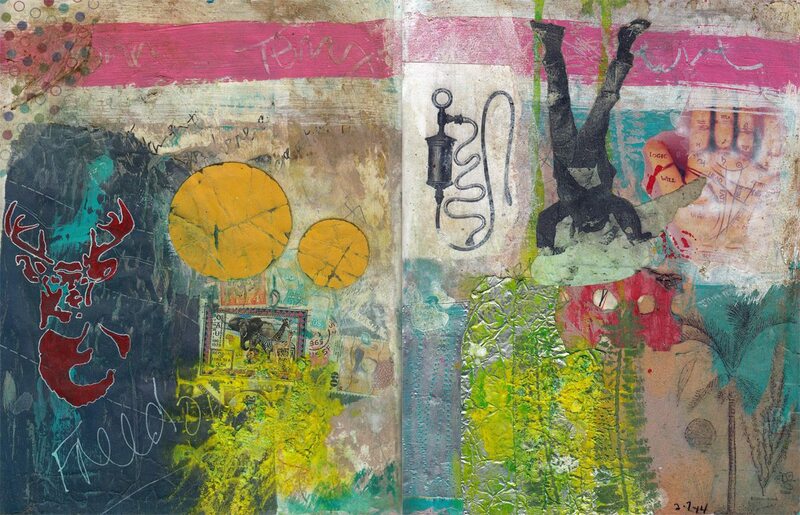 The journaling game came about from when Orly was at a mountain retreat and friends were having a hard time knowing how to start an evening of art journaling. Orly came up with the idea of each person taking turns giving a simple prompt. Orly introduced me to the game later at another event. We had so much fun. I have introduced many friends to the game, Terry Garrett, John Arbuckle, Jacki Long, Irene Rafael, Thomas LaBadia. Some of my most treasured meaningful afternoons have been spent playing the journaling game with these dear friends. The spreads we created together have so much deep meaning for me. Thinking of those times still bring tears to my eyes thinking of them now. I will include them below. Head over to Orly’s blog and leave a comment on her blog for a chance to win a set of cards! They are soooo fun! Created in Minnesota at Terry Garrett’s home with John Arbuckle and Thomas LaBadia. Created on a treasure afternoon at my home with Terry, John and I.
I wanna play this too. MaryAnn next time we are all together we will certainly play! What wonderful memories Brian…and more to come. They bring tears to my eyes Thomas. Yes, many more to come! 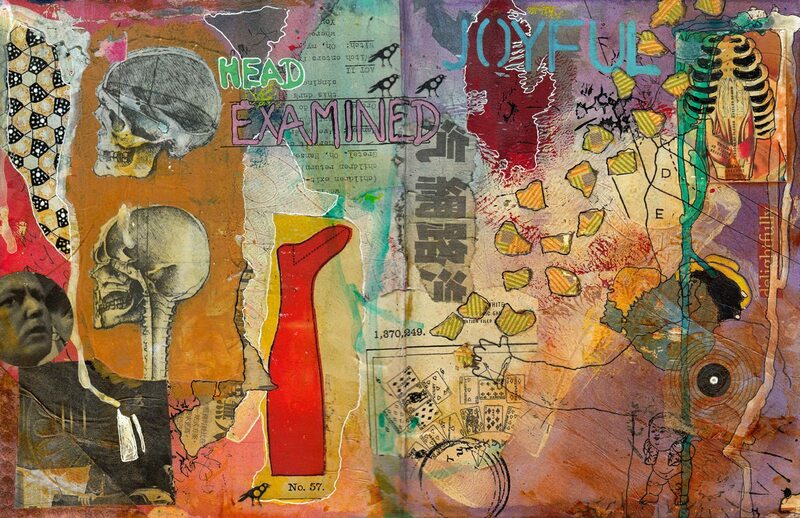 Another incredible creation from Orly…and love the journal spreads here. Seth, it truly is an amazing creation. I received a set from Orly as a gift. I spent time with the cards last night, for each one the artwork matches the prompts. So self aware and such boundless creativity. Amazing. We have to play when we are all together! I would be curious to see what you create. I just love seeing exploring your work with my eyes. It is like an adventure. Wonderful! I would like to purchase this game. Does someone have one for sale.